With gritty determination, a global vision and a unique background in nursing and aviation, Captain Jan Becker is an international force for change in the helicopter industry, in business and in women's and babies' health. As a trained midwife, Jan is also passionate about reducing child mortality and improving maternal health in some of the world's most under-resourced countries. She is the founder of Midwife Vision, which offers education, professional support and resources to midwives at Amana Referral Hospital in Dar es Salaam, Tanzania. 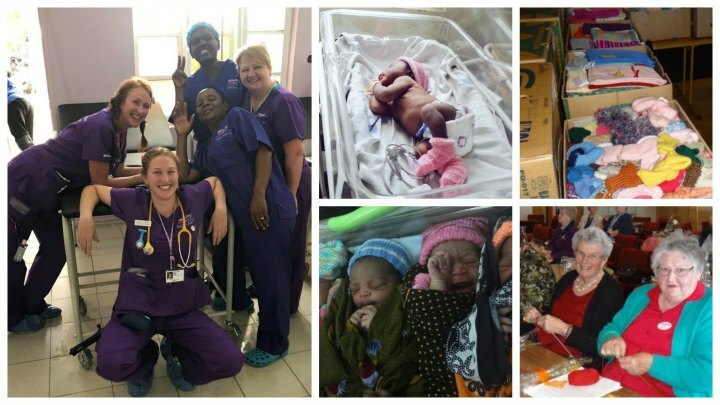 Her hands-on involvement includes funding equipment and making annual trips to Tanzania where she volunteers as a midwife and educator in the hospital's busy labour ward - which delivers up to 100 babies a day! Below, Jan takes us on a journey as she heads off on a trip back to Tanzania with her NGO, Midwife Vision. We arrive at the airport after a 14-hour flight into Dar Es Salaam, Tanzania. We hit the arrivals hall along with several other aircraft with no air conditioning, and utter bedlam greets us in the customs area. Our Swahili is now enough to say, “hello how are you”. We pay the $250 USD cash for a very fancy full-page sticker. Then we wait. This process can take from 20 minutes to three hours. You claim your passport and then go through another line; your passport is checked again and then you move into the crowded baggage hall. This is a fabulously rowdy hall crammed with bags, kids, people, and the crappiest trolleys in the world. We find our 13 bags and boxes, and head off into the throng of passengers trying to leverage across to the single X-ray machine. Inevitably we are stopped and questioned by customs about the seriously strange looking things in our bags appearing on the x-ray machine. I am armed with every kind of official paperwork - letters from the hospital, the tax office of Tanzania (along with receipts for paying tax in Tanzania) and the registered name and address of our newly formed non-government organisation (NGO). We have officially formed a type of NGO (Ltd By Guarantee Company used for Charity in Tanzania) and it’s been a full year of paperwork, lawyers, and our local team helping to get it across the line. It feels good to have it all come to fruition on this trip. Michael (Midwife Vision’s Operations Manager) is standing by outside the arrival hall to help when the Swahili gets too fast or too confusing for us to decipher. It’s difficult to put into words the feelings that come up during the drive from the airport to the house. We take in the same smells, sights that bring a familiar feel. It’s like a second home now; we’re getting familiar with the streets, the markets, the chaos, the heat and throngs of people. There are mothers with babies strapped to their backs with kangas, men selling TV cables, soccer balls, food, drinks, ice-creams, tea towels, lunch boxes (bought a few) maps, DVDs, and yes even a fellow with a fish tank full of fish balanced on his head!!! The rhythm of life here is so different to home in Australia. As we arrived, we were met with a labour ward full of mothers and babies and just one midwife and one doctor. The operating theatre had been running flat out overnight due to emergency caesarean sections. Four women occupied the high-dependency beds, two of whom were fitting – one from high blood pressure in pregnancy eclampsia and another from post-partum haemorrhage. Another was bleeding after giving birth and the other I had no idea about as I couldn’t find her chart (it later turned out she’d had an abruption, the baby had died, and she was awaiting transfer). I dropped our bags, put on gloves and joined the lone midwife who was managing multiple tasks. Within one hour, we had delivered nine babies. The midwife from night duty left (and about half an hour later the Charge Sister arrived). It was a very energetic hour with only one resus amongst them and two perineal repairs. The trick with perineal repairs is to be fast on the uptake - and manage to suture straight away stopping only to place the baby on the mother's chest. After both are settled, we give mum the hot porridge that her family has brought along with some cake-like high-protein muffins. This trip I only had size 7 ½ size sterile gloves to suture in, which are too big. There are no lights, no drapes or fancy gear in the ward - you have to learn to suture with limited resources. One thing that is gold is my head torch – it looks ridiculous, but I can see what I am doing and get on with the repairs right away. Chase was being supervised by the doctor and managed her repairs that day as well. It feels good to be able to manage all the care and get the mother comfortable. We offer pain relief and, for some, antibiotics. Antibiotics are the same as at home really – and still very effective. The biggest issue we have is timing – families may be late, so the antibiotics are late. In the meantime, we use indwelling catheters, IV fluids, and many other essentials. Midwife Vision now has a treasure trove of medicines and equipment for emergencies, these supplies are a major source of life-saving equipment and drugs. On this trip, we celebrated World Day for Premature Babies. Mothers and babies arrived at the hospital for a party. Many travelled one and a half to two hours in a crowded bus to get there – not by air-conditioned car or a nice bus but an open-air, crowded, hot and smelly minibus. Yet they came. All our mothers were so overwhelmed by the generosity of our knitters in NZ and Australia. They knit items such as little beanies and outfits they call “fish and chip” outfits, cocoons and, for the very small babies, special rugs. Some are knitted, some crocheted, some sewn, or blanket stitched around the edges. There are also the bags that were originally made for the babies who don't make it – we keep all the white ones and the soft blue and pink ones. It’s so wonderfully generous of all the BB’s (Swahili for grandmothers), and grandpas and craft groups to gift what they do. We wouldn’t be able to do what we do without such generosity of spirit and stitches of love. Our volunteers help by contributing to such special moments for the mamas and the Mtotos (many babies). This is a special trip for us – we are going to sign a memorandum of understanding and establish a location for the Midwife Vision Neonatal Resuscitation Training (HBB Unit) and Clinics. Plus, I have always wanted a place for the mamas who lose their babies – somewhere they can meet, connect, share grief and heal. We also plan to one-day, train mamas in skills and get help making up the much-needed birth kits. 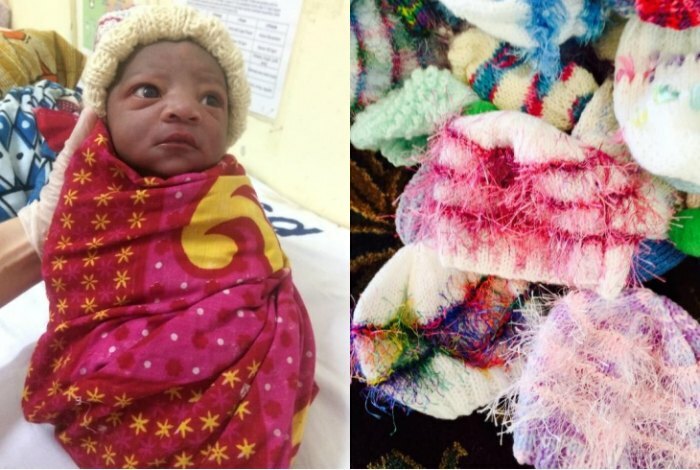 As soon as we walk into labour ward word gets out that we have arrived and midwives from the post-natal ward neonatal unit and antenatal clinic come to get the beanies for the babies born overnight. We re-connect with old friends, catch up with who is engaged, married and pregnant. Within a few minutes, we feel as if we have never been away. How many stories I wish I could tell, each so wonderfully beautiful - mothers who have lost so many babies and the many that survive. We dress the mtotos up in outfits - booties, hat and a little dress. It’s such a joy to see the mothers’ eyes light up. There was a little magic and bright sunshine in the room that day. Nothing we do in Tanzania can be achieved without a team back home - the Board, Dr Alan, Dr Jocelyn, Dr James, Mike, Chase Bev, and Jo; the finance details by Tony, John our lawyer in Tanzania, Elizabeth our legal counsel and hospital liaison, and of course, Michael our Operations Manager who looks after us all with exemplary care and attention. To Mike who has taken it all up a notch – thank you. The mothers the babies, my fellow midwives call us back three to four times a year now. If you would like to know more about Captain Jan Becker and her keynote presentations for your next corporate event click here to submit your enquiry or contact us directly on 1300 55 64 69. Becker Helicopters Group CEO, Captain Jan Becker, is living proof that you can fly high in business and life while still staying grounded in family values and making the world a better place. Jan's business acumen and leadership have been recognised by numerous honours including the 2014 Telstra Business Women's Queensland Business Owner Award, the 2013 Telstra Australian Medium Business Award, and the 2012 Queensland Premier's Innovation Export Award. Read more.